When it comes to coffee I never thought I'd like it. I grew up in a household of coffee drinkers and hated the smell and the taste. I had no interest in it and this continued well after I was married and living in Southern California. My parents came to visit from the Midwest and brought a Mr. Coffee maker with them so they could enjoy coffee in our home. When they returned home they left it at our house and a year later when they visited again we pulled the coffee machine out only to find last years filter and grounds were still in it! It was obvious we were not coffee drinkers. About 10 years later I found myself living in central Minnesota in what was to be one of the winters with the most snow fall on record in years. Our driveway was lined with 10 foot snow drifts and I was a full time Mom, home with three small children. I would sit at the kitchen table in the early mornings and watch the snow fall silently to the ground and decided to brew a pot of coffee to enjoy the aroma on a cold, silent morning. By the end of that winter I was cupping a mug of fresh coffee in my hands to savor the aroma as I watched the snow fall but still hated the taste. The next winter however made me a coffee drinker and within 4 years I was a 'morning coffee' drinker and soon after was grinding my beans, developing a picky palate and turning up my nose at 'hotel coffee' that was by then quite undrinkable, as was most pre-ground grocery store beans. Because I should be getting dressed for work right now, I'll skip ahead to the point of todays article; My new Keurig B60 Special Edition coffee maker that I am absolutely IN LOVE with (you can click that link to find out more about it and even order one for yourself if you'd like) and the Reusable Coffee Filter that we purchased to make our coffee drinking more affordable by using our own 'k-cup' to brew with our own beans (purchased from the local coffee shop here in town). However we still invest in the little bought k-cups as well as they have awesome fun varieties and are rather affordable on Amazon when you can buy 24-Count Boxes (Pack of 2) for the same cost as 1 box in a retail store. For those of you who are not coffee lovers you can also make Hot Cocoa and tea in your Keurig coffee brewer! Now - the point of todays article is HOW TO USE A "MY K-CUP" to make coffee using my own ground coffee beans and not have to buy the store packs. Here is a My K-cup directly from the package. First, wash it with warm soapy water and rinse well. Remove the black cup holder from your Keurig machine. Grasp the edges of the cup with one hand while you gently push your finger through the hole in the bottom of the machine to pop it out with a click. Put your freshly ground beans into the small metal filter cup. Place the metal mesh cup into the plastic holder and gently put the cap on - don't twist too tight. Place the "My K-cup" into the holder. Press the handle back down as usual and wait for the 'Ready to Brew" sign and choose your cup size as usual. With a hum and a few seconeds you have your freshly brewed coffee - affordable when you use your own coffee grounds (you can even use Folger's or Maxwell House pre-ground if it's what you prefer!). So simple... and so good. My First Year Growing Garlic - I Learn about Scapes! If you had asked me even two weeks ago "What is a scape?" I would have looked at you and said, "I have no idea..." even though, at that moment, I had them growing in my garden. Although I've been gardening for about ten years I have not, up until last Fall, grown garlic. As much as my family loves it, I had never given it a thought. How I started to grow it is simple; the neighbors gave it to me. Over the last two summers our neighbor boy brought over garlic as they had more than their family could use. Finally, at the end of the gardening season last year they brought me a few bulbs and told me I should try my hand at planting it. "But... I have no idea how." I said. "Just shove it in the ground!" was the reply. Last fall I took a few bulbs, put them in the ground and hoped for the best. This Spring I was rewarded with about 5 stalks, happily growing and doing well. And then came that 'weird thing' growing out of the top. I knew it would be a blossom of some type and I was content to let to grow but apprehensive as well because I knew that many vegetables have to be picked once they flower or go to seed. Was garlic the same? Was I supposed to pick it? I had no idea. Last week I was making a quick dinner of scallops and shrimp and needed fresh garlic, only to find we were out. Heading out to the garden I chose the largest stalk and picked it, harvesting the garlic a little early I knew, but glad to have an emergency store right in the garden! Small and pure white it was beautiful and the aroma was delicious. It worked great in a pinch but I knew I wanted to let the rest of the garlic in the garden grow larger and for a longer time. Today I was out and about in the backyard and the weird twisting bulbs finally got my brain wondering enough to look up information on the internet. Was I supposed to cut the bulb off? Was it time to harvest my garlic? Should I let it flower? Those twisting growths out the top of the garlic are called scapes. And when they grow they start to curl. Once they are curling, cut them off at the base of the stalk, right where it shoots out from the leaves. You can blend it and mix with mayo or butter for a garlicy spread, use it chopped in dishes to give a garlic crunch or as I did, snipped them to 1 inch pieces and put them in the freezer for future use. My interest in cooking and baking goes way back to childhood. We owned just two cookbooks so my cooking and baking dreams were often on hold if the two old fashioned cookbooks didn't have a recipe for my creative cravings; caramel brownies, almond flavored cakes, delicious frosting's... I believe this is probably how I learned to improvise so well! Necessity is the mother of invention! These days I not only have literally thousands of recipe books and magazines and cards, but the internet has made recipe finding and cooking not only so easy but opens a world of new information, new flavors, new ideas! Even with the internet at my fingertips I still love to relax with one of my 'hard copy' cookbooks. This mornings recipe is actually from one of my latest purchases. While on vacation to Myrtle Beach in March I bought a small regional book, bound with plastic and printed locally. One of the recipes is what I would deem a 'comfort food' and so quick and easy for a 1 person meal. Saute tortilla strips in the oil in a hot pan over medium heat until lightly browned. Add the water and the cheese. Stir until the cheese melts. Season with salt and pepper and serve. Earlier today I grabbed a couple cookbooks from my shelves, headed out the back patio door and relaxed on the hammock in the back yard. One of those cookbooks was an all time favorite of mine, one that never let's me down; Southern Living. This summer drink is from Southern Living last year, in July of 2008. It's reminiscent of a fruity sangria but made with cranberry juice and mineral water, even kids can enjoy. If you choose, make it with champagne and call it an 'adult' refresher. Combine first 4 ingredients in a large pitcher; cover and chill 8 hours or overnight. Remove fruit with a slotted spoon, and discard. Stir mineral water into cranberry juice. Garnish with lemon slices, if desired. 2 (750-milliliter) bottles chilled champagne may be substituted for sparkling mineral water. Here is their stock photo. It's tall, it's dark and it's delicious. Maybe, perhaps, that is why it's called "Tall, Dark and Delicious" on the menu. Yes, the name of this signature cake describes it very well and it's what I bought my husband for Father's Day this year. I admit that I'm considered abnormal by my teenager's, as I've never actually eaten at Coldstone Creamery. Oh, I've gone there. I've stood in line. I've bought ice cream for the kids. But I am not a huge fan of ice cream, sweets or chocolate so I have no problem standing in line, passing the ice cream by and not buying any. It just doesn't bother me. But a coupon in the Sunday paper before Father's Day caught the eye of my oldest daughter and before I knew it I was agreeing it was a beautiful and delicious looking cake and with $3 off, I decided the $25 would be part of his Father's Day Gift. I must say that even for someone who does not crave or go crazy for chocolate, cake nor ice cream, it was not only good but really, really good. The price is a bit steep and the cook in me couldn't help but think (over and over again) I could have made this.... truly, could have made this myself for less! But what is life if you don't splurge every now and then? And just because you can make it, do you have to? Really? I bought the large round size which ended up serving about 12 pieces by the time it was gone. Could have served more had we sliced them all thin, but some of us wanted small pieces, others like my husband and 16 year old son wanted a quarter of the cake! 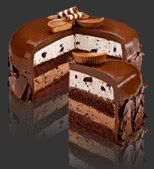 I'm impressed with Coldstones's delicious ice cream and loved the moist cake and flavor. I look forward to trying more of their cakes for our family holidays. My next purchase however may be their new ice cream cup cakes! I've also got plans to recreate them in my own kitchen. I'll keep you up to date on that one! Newly married couples and college students find out quickly that spaghetti dinners are one of the most affordable meals they can serve both on a random Tuesday evening for themselves or as a guest meal on Saturday night. It's a meal that can be plain or fancy depending on the additions and presentation. Add a side of salad, a fancy dessert and you look like you slaved away. A pound of dry pasta can be bought for about $.88 average and if you buy a can or bottle of spaghetti sauce for $.99 (Hunt's brand in a can is usually about this price) you can add a loaf of French bread for $.99 and have a meal for 6 for under $3.00. Because my kids have been brought up eating a wide variety of foods, we rarely have spaghetti but when I do make it I like to jazz it up a bit. That's what todays article is about; jazzing up store bought sauce. First I'd like to give a quick and simple homemade spaghetti sauce that is so delicious you may not want to buy store bought. It's a dry mix you can keep in your cupboard and mix with a can of tomato sauce to make the amount you need. Double or triple the recipe if you like. Mix 1 heaping tablespoon of spices into 8 oz. of tomato sauce. Heat and simmer on low for 20 minutes. Serve. My regular readers are going to know that I'm going to implore you to 'play' with this recipe to make it your own. My family doesn't eat much sugar so I use less than called for because I think it's just a bit sweet. We also love garlic so I use fresh minced garlic as well as adding a little fresh minced basil from the garden. Green or red peppers? Mushrooms? Browned sausage or ground beef? Go for it! Also, I like to add it to petite diced tomatoes instead of plain sauce. 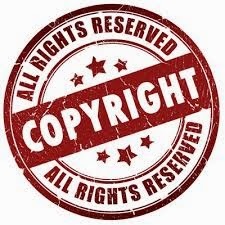 If you are more comfortable purchasing a can or bottle of store bought sauce I still implore you to jazz it up a bit to give it a homemade flavor instead of the 'straight from the bottle' taste. One of the easiest ways to make it 'homemade' is to add diced fresh tomatoes, a little fresh garlic, mushrooms, browned Italian sausage, basil or diced zucchini. Even the addition of a couple teaspoons of dry Italian seasoning will give it a flavor of being homemade. With the economy tight and grocery prices high pasta remains one of the most affordable meals you can make! 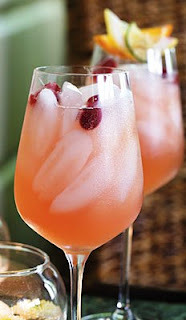 Continuing with the 'Summer Drink' theme as I try to branch out and collect more drink recipes for entertaining, I came across a Cranberry Blush drink recipe that makes enough for a party. About 6 quarts worth. Always a fan of anything cranberry, this one caught my attention and I can just taste the icy cold on a hot summer evening. Too bad we don't have a pool to relax by and sip! This wife-mother is.... tired. That's what kind of a week it's been. Oh heck... that's what kind of a month it's been! 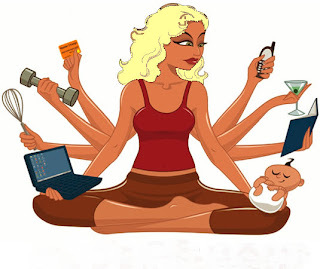 Always on the go, I've become 'that woman' you see at Target at 8:00 pm still in work clothes and high heels buying cat food, or 'that woman' at the grocery store at 7:45 pm with a cart full of groceries, trying to the bi-weekly shopping trip on a Wednesday night. However, even the busiest Mom has time to whip up some Oreo Fluff. Not at all healthy, but oh-so-good when you serve it partially frozen on a hot day, it's perfect for the heat wave the Midwest is currently experiencing. Enjoy! With an electric mixer blend the cream cheese and sweetened condensed milk until smooth. Add the hand crushed oreos and Cool Whip. Stir with a wooden spoon to mix. Chill or partially freeze. *It will thicken as it sets and chills. Chill for at least 2-3 hours for best results. An Environmental Debate: When offered a Choice Between Plastic or Paper, Which Should You Choose? According to my copy of the Handy Science Answer Book compiled by the Science and Technology Department of the Carnegie Library of Pittsburgh - third edition - the answer is; neither. Both are environmentally harmful and the question of which is the more damaging has no clear cut answer. On one hand, plastic bags degrade slowly in landfills and can harm wildlife if swallowed. Producing the them pollutes the environment. On the other hand, producing the brown paper bags used in most supermarket uses trees and pollutes the air and water. Overall, white or clear polyethylene bags requires less energy for manufacture and cause less damage to the environment than do paper bags not made from recycled paper. Save and reuse any paper or plastic bags you get (which I do both) and when possible or plausible, bring your own reusable bags or containers to the store. The Nestle Cookie Dough Recall.... Just Listen to Your Mother! "Don't eat raw cookie dough! You'll get sick!" Don't tell me you didn't hear that 100 times from your mother as you were growing up. We've all heard it and if you are like my crew and you love raw cookie dough and cake batter you just quickly learned to make it without any eggs and eat it all up without bothering to bake it! Ha. But with the big recall out today I feel of course I need to post it so my readers, if concerned, can return any cookie dough they've recently bought from Nestle. But... here's the catch; it's only making people sick if they are eating it raw! Heed your mother's warning; don't eat it raw! If you are still concerned, here is the article (most of it as I've clipped a bit out for size and space). ".....Federal authorities are investigating a new outbreak of a bacteria-triggered illness, this time related to a sweet treat treasured by the heartbroken and children-at-heart — packaged raw cookie dough. The federal Centers for Disease Control said its preliminary investigation shows "a strong association" between eating raw refrigerated cookie dough made by Nestle and the illnesses of 65 people in 29 states whose lab results have turned up E. coli bacteria since March. About 25 of those people have been hospitalized, but no one has died. E. coli is a potentially deadly bacterium that can cause bloody diarrhea, dehydration and, in the most severe cases, kidney failure. Nestle USA voluntarily recalled all of its Toll House refrigerated cookie dough products after the U.S. Food and Drug Administration advised consumers to throw away any Nestle Toll House cookie dough products in their homes and asked retailers, restaurateurs and other foodservice operations not to sell or serve any of the refrigerated cookie dough products. Customers also can return any recalled product where they bought it for a full refund. The recall does not affect other Toll House products, including ice cream that contains raw Toll House dough. FDA spokesman Michael Herndon said officials were confident that Nestle refrigerated dough products caused the outbreak. "This has been a very quickly moving situation," said Roz O'Hearn, spokeswoman for Nestle's baking division, adding the company took action within 24 hours of learning of the problem. Spokeswoman Laurie MacDonald for Nestle USA in Glendale, Calif., a unit of Switzerland-based Nestle SA, said the company has temporarily stopped making the refrigerated dough products while the FDA investigates its factory. Nestle holds a 41 percent share of the prepared cookie dough market. The recall includes refrigerated cookie bar dough, cookie dough tubs, cookie dough tubes, limited edition cookie dough items, seasonal cookie dough and Ultimates cookie bar dough. Nestle said about 300,000 cases of Nestle Toll House cookie dough are affected by the recall, which covers chocolate chip dough, gingerbread, sugar, peanut butter dough and other varieties. The FDA said consumers should not try to cook the dough, even though it would be safe to eat if cooked, because the bacteria could move to their hands and to countertops and other cooking surfaces. Raw cookie dough is so popular that it has spawned more than 40 groups on Facebook, complete with postings that read like love notes. Stacey Oyler, a 33-year-old San Francisco resident, called it her "secret indulgence" — a treat that became irresistible when she was pregnant with her second child last August. She said she still indulges occasionally. "I love the combination of the salt and sweet," she said. "You can't get that from a piece of chocolate." But no raw cookie is necessarily safe. The eggs in Nestle Toll House's dough are pasteurized, which eliminates most of the risk of salmonella infection from raw eggs. But other ingredients could contain pathogens or bacteria, and the company warns in product labels not to eat the dough raw." "........Unfortunately, I don't think that people who have been working in food safety for years can be surprised at this point and sadly, I don't think the American people are surprised either," Klein said. When we moved to Nashville, Tennessee in the early 90's I was introduced to something I had never had before, but was well known to everyone and their mother in the South; Sausage Balls. At the time I worked as the Administrator of a Church and the pastor suggested a fruit and cheese platter and sausage balls for refreshments during a morning meeting. When I asked him what sausage balls were he replied, "Oh you know, the sausage and biscuit mix and cheddar cheese balls....". Hmmm. No, I didn't know. But I was about to find out. After living in the South for five years I made a fair share of sausage balls but I never really grew to love them (nor even like them if I'm going to be honest). They were 'fine' but nothing special. However, I love cream cheese and when I saw this version I knew I would like it better than the *only* cheddar cheese version and I tucked it away into my files. I recently came across this one after years of having it tucked away. I think it's about time to pull it out and give it a go! Beat cheeses together. Stir in sausage, onions and baking mix. Roll into 1" balls and bake at 400 for 20-25 minutes or until lightly browned. As the summer sun sets in my neighborhood I had a moment where I looked out the patio door and reveled in what an idealistic moment it was. My neighbors to the right were grilling out and playing a bean bag toss game with friends. My neighbors to the left rented a large bouncy house and were having a very large get together for a child's birthday. The bright yellow and blue bouncy house was framed by a crystal blue sky and out of no where came a gorgeous multi-colored hot air balloon silently floating into the sunset. Idealistic... but then there was me. I decided to go outside and weed the garden. Dirty, with mud caked feet I entered the house craving some leftover strawberry margarita's from the freezer, left over from the family bbq we hosted two weeks ago. In honor of that icy cold frozen margarita, I give you this peach cooler. Process half quantities of first 4 ingredients in a blender until smooth, stopping to scrape down sides. Fill blender with ice to 5-cup level, and process until smooth. Pour into a pitcher. Repeat procedure with remaining ingredients. Garnish, if desired. Remember when I made Cream Horns? Or My Many Different Pizzas? This morning as I sit and sip my morning coffee and listen to the birds outside the open patio door I was looking through some of my old food photo files, glancing at the stats to see what dishes were most searched for and well, just looking over some of the past recipes in 'housewifebarbie.com'. I decided perhaps it was a great time to 'remind' my readers and those stopping in for the first time to please feel free to click on the labels to the right in the side column to do some searching of their own. You never know what you'll find. My Perfect Molasses Cookie is one I wouldn't want new readers to miss and when I made a new recipe (to me) for Cream Horns I ended up with a filling recipe that we've since used in everything from cupcakes to frosting on cakes. It became a family favorite! If I was to choose one article that I felt was the most helpful to my readers it would have to be the almond bark post. So many people have no idea what almond bark is, what it's used for and where to find it! I've helped people all over the United States find almond bark for their holiday baking - even going so far as to do searches myself and sending them addresses and directions by email. Once they see the product on the shelf and realize what they were looking for they find it was there the whole time and they just never noticed it! 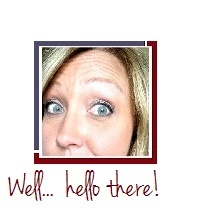 My posts on how to clean pampered chef stoneware have also proved helpful to many. (Speaking of which, mine need to be cleaned again! Good thing it's Saturday and I'm home this weekend!). If you are new to these parts or just need a refresher please feel free to browse. Walk down memory lane with me. You never know what you'll find to make today! I've been posting many different versions of margarita's and my cucumber margarita recipe brought an old friend out from readership and into emailing me (Hi Jen!) about the terrific margarita's she had at a neighbors. Beer margarita's have gotten really 'big' since last summer. Gaining in popularity I've heard about them and seen the recipe numerous times. This morning I did a quick internet search and sure enough, 'Rachel' recently published it which might be why everyone is talking about them. I absolutely plan to try this one this summer as my husband likes Corona's and I think that would be the perfect beer for this drink. Even though I don't care for beer I believe even I am going to like this one! 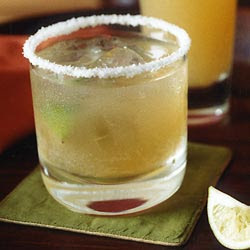 From my reader and friend Jen, to you I offer a delicious Beer Margarita! I saw your recipe tonight for Margarita's and HAVE to share this one that my neighbor made the other night. It's simple & SO yummy! Add 1 beer Stir & enjoy. The lazy days of summer are upon us. Or, if you are like us, the days are not so lazy after all but filled with busy schedules that keep you running from sun up to sun down. The difference in our area of the world is that the sun is out and the weather is above 20 degree's while we do so. Seven months of the year we are doing the same schedule under mushroom soup skies and negative temperatures! I've been trying to offer some delicious drinks to my readers as I try to build up a few drink idea's in my files for entertaining. This one involves pink lemonade which is always a winner! Mix - garnish with a few washed, fresh cranberries (or perhaps a slice of lemon if you can't find cranberries in your area) and serve. Although I was a full time housewife for years, when we moved to our current city and state I had the opportunity to return to the workforce part time during the hours my children were in school so of course I jumped at the chance. As my kids all entered junior high and high school I added a few hours and now I am working full time at a non-profit organization. Since it's non-profit we obviously have a very strict budget so donations are always appreciated and when we can do or get something for low cost or free it's a blessing. When it comes to small luncheons we hold for our clients, one of the directors commented that she would love some old time style cookies - back when a cookie was a small cookie and not the 'monster' cookies the bakeries and stores seem to make now. I volunteered to make some and donate my time and ingredients to do so. My initial plan was to do three or four varieties; a soft chocolate chip cookie, a small Russian tea cake and tiny lemon tarts. Well, because of time constraints with trying to be a full time wife, mom and employee as well as handling my oldest daughters graduation from high school, her open house reception and parent's weekend and orientation at the college, time was short and I only got two of the three made. Here is the missing recipe I'm still planning to make for our next luncheon on June 26th.... if the stars and moon align and I get the time. One of my biggest time savers? I bought 3 jars of Harry & David Zesty Lemon Curd and Lime Curd on my last trip to their store. All I need to do is make the pastry and fill with the curd! Cream butter with flour and confectioners' sugar. Mix until well blended. Add the vanilla extract and again blend thoroughly. Divide dough evenly between 36 miniature muffin tins. With a wooden tart/shell pastry tool or with your fingers, smooth and press the dough into place on the bottom and sides of tiny sized muffin tins to form shells. Place in freezer for 15 minutes. Remove from freezer and put 1 tablespoon of cleaned pinto beans in each tin. (This will keep dough from shrinking.) Place muffin tins in oven and bake for 12 to 15 minutes. Remove from oven and carefully remove beans from crusts. Fill each shell with lemon curd. Return to oven and bake for another 5 minutes or until just warmed. Remove from oven and place in a draft-free area. Cool completely. Carefully remove shells from tin, loosening edges with thin knife. Place shells on cooling racks. When completely cool top with a swirl or dollop of stabelized whipped cream or drizzle white chocolate across the tops if you desire. ... I'm about to find out! Just a heads up to my readers that my husband, my oldest daughter (18) and I are off on a little 'college road trip' as we travel to visit the campus of the school she'll be attending this Fall when she starts her studies towards her degree in Criminal Justice. I'll have my laptop with me but I can't promise in this whirlwind of scheduled activities that I'll get much time to write articles. I'll try my best to keep in touch. Until then, have a great weekend and go ahead... play with your food. Try something new this weekend! While looking for punch recipes for my daughter's graduation open house last weekend I came across a lot of old recipes that I had forgotten about in my collection of old church cookbooks, some great new recipes online and more than a few in between. Even though I didn't use any of them in the end I gathered a few to put into my collection of recipes for future use. This one is perfect for entertaining girlfriends during the hot summer months. The warm weather is upon us. If an iced latte is what you crave try this punch at your next gathering. Stir together the instant coffee, syrup, sugar and boiling water in a large pitcher; cool. Cover and chill at least 8 hours. Stir together coffee mixture, half-and-half, and 1 quart ice cream in a punch bowl. Stir in ginger ale; ladle into glasses. Top with a small scoop of ice cream, if desired. In Honor of Two Birthdays This Week... Cakes for Both! This week is a special one for family birthdays and my long time readers might remember what I was doing a year ago... preparing the cakes for a double birthday party! My FIL celebrates his 81st birthday and my Grandmother is celebrating her 82nd this week. Today's website article is in honor of them and their special days. This year everyone's schedules didn't allow for a large gathering but I hope my readers celebrating their own family and friends birthdays might consider having some fun with fondant and trying their hand at decorating. These cakes were my second attempts to ever work with it. I found it much like persnickety play-dough but fun to create with. 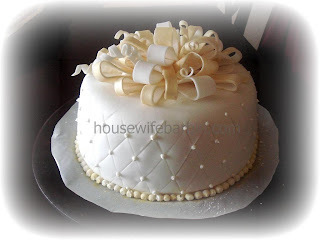 My Grandmother's Cake was white with a simple filling between the layers and gold and pearl glitter embellished fondant ribbons. My Father-in-law's Cake was a feast for chocolate fiends as a triple layer chocolate with a fudge filling and glitter fondant stars cascading down to the serving platter from above. What are you waiting for? Order those beautiful invitations, bake those cakes and celebrate! I promised margarita's and I have another margarita for you! This one is also a very popular recipe that most people already know and love but just in case you need reminding, or you have leftover watermelon on hand and need a new idea, here it is. Break out the tequila and invite the neighbors over to grill out! Make a simple sugar syrup by bringing sugar and water to a boil in a medium saucepan, stirring until sugar dissolves. Boil 1 minute. Remove from heat; cool. Process watermelon in a blender until smooth. Combine all ingredients, and shake well. Over the last few years my readers might have noticed that I often recommend rice vinegar in my recipes. I always have NAKANO Rice Vinegar on hand to use in my homemade salad dressings and pasta salads. While I always have the natural version (green cap) on hand I often buy both the natural and the seasoned, which has the red cap. The NAKANO All Natural Seasoned Rice Vinegar has just the right amount of seasonings in it to splash onto green salads, grilled chicken, pasta, baked potatoes, or hot vegetables for a touch of flavor without the fat and oil of a traditional salad dressing, sour cream or butter. It's naturally brewed and has a light taste; subtle, not overwhelming. Made from real rice it's all natural, fat free, low calorie and is gluten free. To prepare bowls, lightly coat one side of each wrapper with cooking spray. Fit 4 wrappers, coated sides up, into the 4 corner cups of a nonstick muffin pan; press wrapper up sides of cups. Repeat procedure with remaining 4 wrappers. Bake at 350° for 8 minutes or until lightly browned. Remove wrappers from pans; cool completely on a wire rack. bowl; stir with a whisk. Add peanut butter and honey to vinegar mixture; stirring with a whisk. To prepare salad, cook edamame in boiling water 5 minutes. Drain and rinse under cold water. Combine edamame and next 6 ingredients (through onions) in a large bowl; toss well. Drizzle dressing over chicken mixture, tossing gently to coat. Spoon about 1 cup salad into each egg roll wrapper bowl; top each serving with 1 1/2 teaspoons peanuts. Serve immediately. Yield: 8 servings (serving size: 1 filled salad bowl). NAKANO is a proud sponsor of the 2008 Cooking Light Ultimate Reader Recipe contest. Enjoy this winning reader recipe from the contest. As seen in the January/February 2009 issue of Cooking Light Magazine.